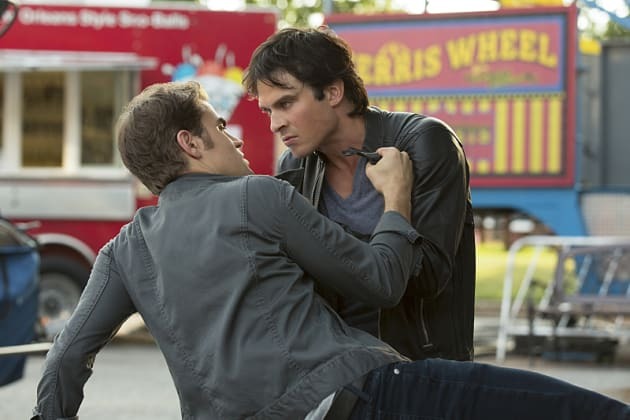 Stefan's decision may change he and Damon's relationship forever on The Vampire Diaries. "Coming Home Was a Mistake" is the fifth episode of the show's eighth season. 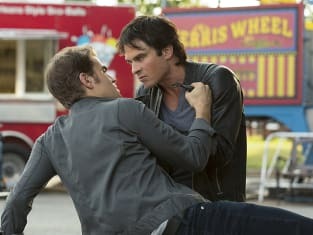 The Vampire Diaries Season 8 Episode 5: "Coming Home Was a Mistake"
Welcome to your psychic hell. Permalink: Welcome to your psychic hell. Stefan: I'm at a loss with Damon. I don't know what to do with him anymore. Caroline: Maybe the best thing to do is to mourn Tyler. We all owe him that. Permalink: Maybe the best thing to do is to mourn Tyler. We all owe him that.